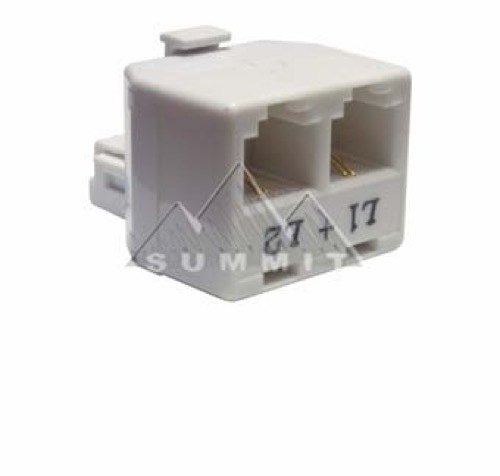 Please check out the Telephone Splitter Section for similar products!!! Modular 2 line adapter separates a two-line system into line1 and line 2. For phones, answering machines, or other auxiliary equipment. Insert rear plug of adapter into modular jack. Insert two modular line cords into adapter.